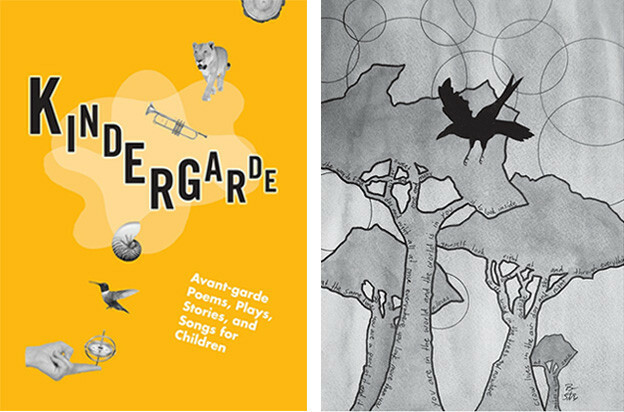 Along with the recent publication of Kindergarde: Avant-Garde Poems, Plays, Stories, and Songs for Children (reviewed in Jacket2 by Eileen R. Tabios and Carolyn Hembree), Black Radish Books has released a sampling of recorded readings from the anthology. While the recordings could illustrate how to approach these poems with children — such as alternating line by line between adult and child, as Kit Robinson does with his granddaughter Flora Beatrice Breitbard in reading “The Happy Onions” — the recordings also, in a broader sense, encourage the rule-breaking inherent in play. A thought today on the way in which Tracie Morris looks forward and back simultaneously. Morris takes us into a future in which the various arts become indistinct not just programmatically (and disciplinarily) but in every single art piece, wherein the piece is a convergence of imagination, throat, song, history, movement, and improvised word-signifying – and somehow at the same time she returns to a past of the poem as a fundamental song of human culture as it emerged before the mere page did its dominating and excluding. 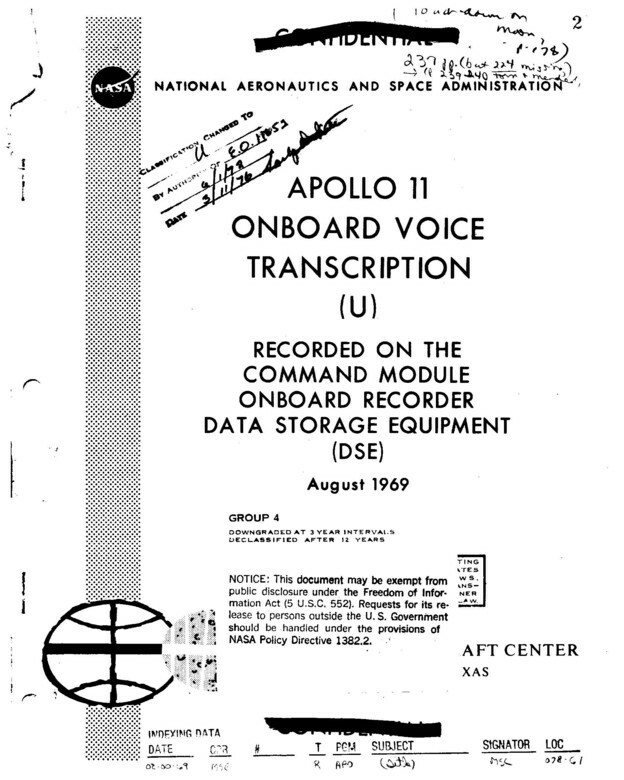 First page of the Apollo 11 onboard voice transcript, courtesy of NASA. While the transcripts of the recordings of the Apollo 11 spaceflight mission to the moon were released in the mid-1970s and have been publically available on the internet for years, NASA has digitally released the recordings of the spaceflight mission as MP3s, available here. Ken Hunt published Space Administration (89+/LUMA Foundation, 2014) using the transcripts of the recordings, including some of the numeric time signatures for each speaker. Hunt’s book brings poetry in conversation with one of the greatest scientific achievements that humans have accomplished as a species. Wang Hao at the 2008 Beijing Olympics. 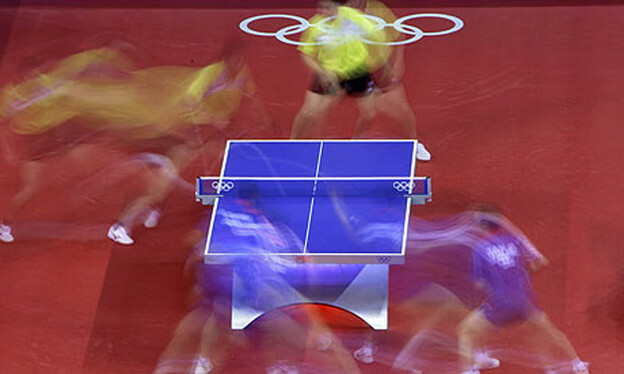 Photograph: Oded Balilty/AP. Courtesy of The Guardian. In my new novella I experiment with point of view by developing a question—“Is there a 4th person narration?”—posed by Shanxing Wang in his extraordinary work, Mad Science in Imperial City (Futurepoem, 2005). In physics, the fourth dimension of space is time. In the context of string theory, where our universe is thought to be one of a wilderness of universes comprised of infinite dimensions of space and time that are made up of vibrating membranes of energy, I imagine 4th person narration as a site for considering narrative mode in relation to higher dimensions in physical reality. To intentionally and/or unintentionally engage in a narrative mode within or beyond the fourth dimension might be to read, write, or construct texts outside of time, or in all times, making nonlinearity and simultaneity points of view and spacetime a literary device. 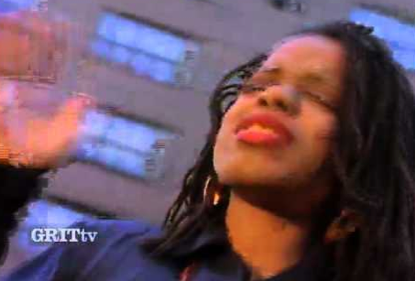 I considered Sophia Le Fraga’s “W8ING 4” as a conceptual video-poem. I immediately placed it as a contemporary revision of Samuel Beckett’s Waiting for Godot by the opening phrase, “nothing 2 b done.” Le Fraga’s work also seemed more play than poem in its use of the mobile phone screen as a stage and deployment of texting as a means to update Beckett’s famous exploration of meaning, modern alienation, and the nature of human bonds.